Clear Scalp & Hair Beauty Therapy's new intense Hydration Hair Care Line has just landed in-stores to ensure your hair is moisturised, strong and beautiful, rather than looking dry and weak. Approximately 90% of the strength of our hair emanates from the scalp, so when you expose your scalp to a hair-dryer and warm water from showering, your hair subsequently loses it's essential moisture that causes a reduction in the strength of hair. The Clear Scalp & Hair Beauty Therapy Intense Hydration Shampoo (A$5.99/200ml, A$9.49/350ml) & Conditioner (A$5.99/200ml, A$9.49/350ml) are both formulated with a scalp hydrating Cactus extract to assist the replenishment of hydration and moisture in dry and damaged hair. For me, dryness in hair is a common beauty dilemma that I encounter, particularly during the Winter season. For the last 4 weeks, I've incorporated the new Clear Scalp & Hair Beauty Therapy Intense Hydration Shampoo & Conditioner into my daily hair regime and I haven't looked back! Both the Intense Hydration Shampoo and Conditioner are housed in a sturdy plastic bottle with a press down lid to dispense the product. The packaging is quite appealing being tall and slim just like the entire Clear Scalp & Hair Beauty Therapy line. I found that it was very easy to dispense a sufficient amount of product, however, when it comes down to the last 20 or so mLs, it is quite difficult to salvage the last amount of product. As mentioned earlier, the bottles are quite sturdy and also, they are not so malleable to allow easy compression to squeeze out the last volume of product. To overcome this, I've had to ensure that the bottles are stored up-side-down so that the last amount of product sits at lid. The consistency of the Shampoo is relatively thick compared to most shampoos I've used in the past, which means that only a small 20cent-sized amount is adequate for one application. The same goes with the conditioner as you could see in the photos that the formula appears like a thick cream. I quite like the consistency as it was very easy to lather the product through my hair. My hair felt beautifully silky smooth and so soft to touch, I was amazed as to how effective these two products transformed my hair to become more hydrated and lustrous. The scent of these products also smell utterly divine! The scent reminds me of fresh berries! Although a little overpowering for my liking, the berry scent did leave my hair smelling fresh after washing my hair. 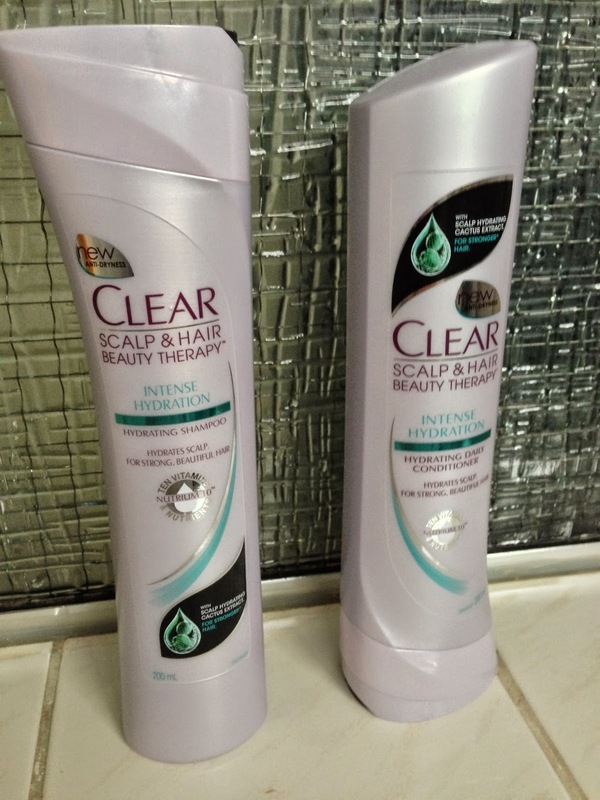 All in all, I am very much in love with both the Clear Scalp & Hair Beauty Therapy Intense Hydration Shampoo & Conditioner as my hair looks and feels a lot more healthy and beautiful inside-out! The Clear Scalp & Hair Beauty Therapy Intense Hydration Line is available at Priceline, Coles and selected pharmacies nationwide. Which types of shampoo and conditioners do you use to maintain moisture and strength within your hair? 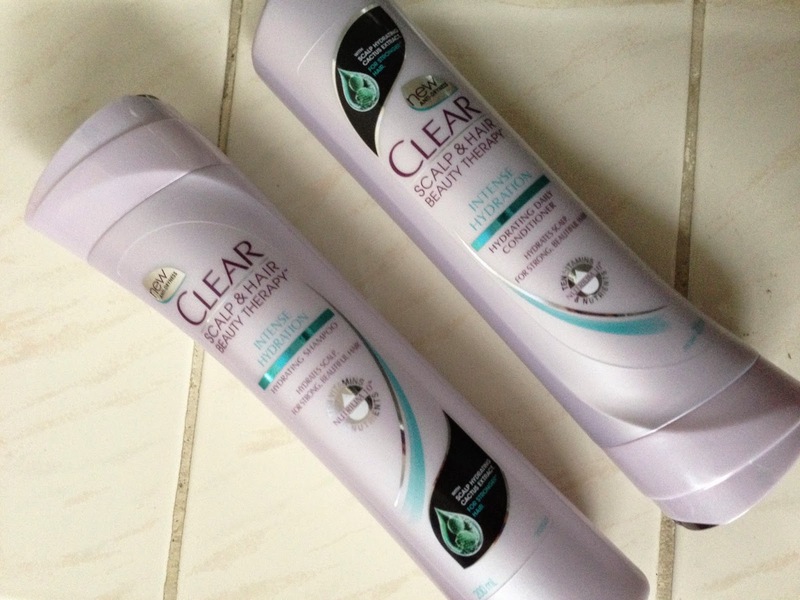 Have you tried any of Clear Scalp & Hair Beauty Therapy's range of products before? Products were provided for consideration only. This review is 100% based on my own thoughts and opinions. I am not affiliated with Clear Scalp & Hair Beauty Therapy and did not receive remuneration to post this product review.